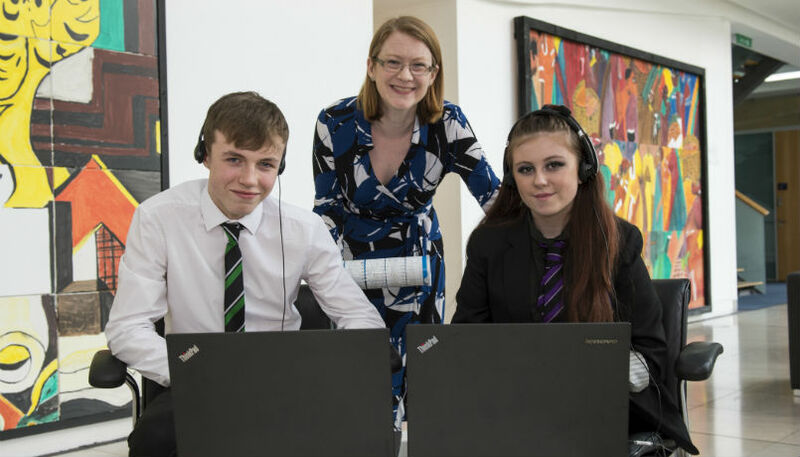 Digital skills charity, Digital Xtra Fund, has partnered with BT to help make computing science activities available to young people in Scotland and is calling on other businesses to follow suit. Digital Xtra Fund supports activities which inspire young people to understand and create with digital technologies, not just how to use them. It aims to foster the next generation of digital makers, teach young people the skills they will need to succeed in the workplace of the future, and help drive forward Scotland’s economy. Activities supported by Digital Xtra Fund are primarily aimed at young people not previously engaged in digital technologies, especially girls and young women, or areas where there is currently a lack of resources or understanding around digital technologies. Digital Xtra Fund was launched in May 2016 by the Scottish Government, in partnership with public and private sector bodies including Skills Development Scotland, Highlands and Islands Enterprise and ScotlandIS, to act as a pivot point between the private and public sector in order to more efficiently support digital skills activities for young people and help communicate career pathways. It was spun out as an independent charity in March 2017. Minister for Further and Higher Education Shirley-Anne Somerville said: “Digital Xtra Fund is a new and innovative approach bringing the public and private sector together in a coordinated way to support digital skills for young people. Support of companies like BT will ensure the Fund’s sustainability and gives every young person, regardless of their background or location, the chance to take part in extracurricular digital activities. Other companies backing Digital Xtra Fund include Be Positive and Edge Testing. Kraig Brown, Partnerships & Development Manager for Digital Xtra Fund, added: “Speaking with companies across various sectors, I often hear, ‘Yes, digital skills are hugely important in our sector, but what can we do with limited time and resources’. This unfortunately leads to peaks and troughs in support and varying levels of activity provision across the country. In 2016, Digital Xtra Fund supported 22 projects across Scotland, engaging 15,000 young people. Applications for the most recent funding round, the first as an independent charity, closed 1 September. Grants of up to £5000 will be awarded to projects which teach concepts like computational thinking, coding, digital creativity, and data science in a fun and inspiring environment. Projects will be chosen by a panel of experts made up of key players in Scotland’s tech industry with successful awardees for 2017/18 being announced shortly. Digital Xtra Fund is now establishing a 2018/19 funding round and is looking partner with likeminded individuals, businesses, and organisations who are also keen to increase the availability of extracurricular computing activities for young people across Scotland.